It’s a New Year and countless people resolved to make positive changes— for example, eating a better diet or improving their overall health. And while it hasn’t been long since we flipped our calendars, many of us are already struggling to keep those promises. Some resolutions can be difficult to follow through — like pledging to lose a certain number of pounds or follow a strict dietary regimen. Here’s one that’s a little easier: Stop consuming foods and drinks with ingredients that are known to cause serious problems for your health. Can you guess what ingredient is number one on this list? It’s sugar! Like tobacco and alcohol, sugar affects many different parts of the body. In the mouth, it provides food for the harmful bacteria that cause tooth decay and gum disease — respectively, the largest causes of tooth loss in children and adults. In the bloodstream, excessive sugar is linked to metabolic diseases like diabetes and the troubling epidemic of obesity, and is suspected to play a role in many other ailments. While sugar is naturally found in foods like fruits and vegetables, this type has little effect on your blood sugar and is considered very healthy. Fruits and vegetables also contain lots of healthy vitamins and minerals. 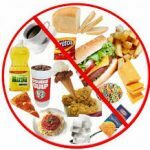 The danger is from added sugars in processed foods. 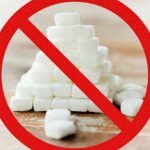 This article lists simple ways to cut back on your sugar intake. 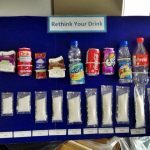 Some popular drinks contain a heap of added sugar. Sodas, energy drinks, sports drinks and fruit drinks contribute an astounding 44% added sugar. So-called “healthy” drinks, such as smoothies and fruit juices, can still contain eye-watering amounts of it. Water: It’s free and has zero calories. Sparkling water with a squeeze of fresh lemon or lime: Homemade soda. Water with mint and cucumber: Amazingly refreshing in warm weather. Herbal or fruit teas: Drink them hot or cold with ice. Tea and coffee: Stick to unsweetened tea or black or flat white coffee. Most desserts don’t provide much in the way of nutritional value. They are loaded with sugar, which causes blood sugar spikes and can leave you feeling tired, hungry and craving more sugar. Grain and dairy-based desserts, such as cakes, pies, doughnuts and ice cream, account for over 18% of the intake of added sugar. Fresh fruit: Naturally sweet and full of fiber, vitamins and minerals. Greek yogurt with cinnamon or fruit: Rich in calcium, protein and vitamin B12. Baked fruit with cream: Try pears, apple or plums. Dark chocolate: In general, the higher the cocoa content, the lower the sugar. A handful of dates: They’re naturally sweet and extremely nutritious. 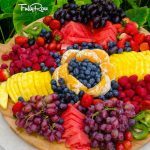 Swapping sugar-heavy desserts for fresh or baked fruit not only reduces your sugar intake, it also increases the fiber, vitamins, minerals and antioxidants in your diet. Sauces such as ketchup, barbecue sauce and sweet chili sauce are commonplace in most kitchens. However, most people aren’t aware of their shocking sugar content. Although, some varieties have no added sugar. Always read the label to be sure you are choosing the lowest-sugar option. Fresh or dried herbs and spices: Contain no sugar or calories and can have added health benefits. Fresh chili: Give your food a sugar-free kick. Yellow mustard: Tasty and contains virtually no sugar or calories. Vinegar: Sugar and calorie-free, with a zing similar to that of ketchup. Some balsamic vinegars and creams may contain sugar. Harissa paste: Can be bought or made and is a good replacement for sweet chili sauce. Pesto: Fresh and nutty, great on sandwiches or eggs. Mayonnaise: Although it’s sugar-free, it’s high in fat, so be cautious if you’re trying to lose weight. Whole foods have not been processed or refined. They are also free of additives and other artificial substances. At the other end are ultra-processed foods. These are prepared foods that contain salt, sugar and fats, but also substances not usually used in home cooking. These substances can be artificial flavors, colors, emulsifiers or other additives. Examples of ultra-processed foods are soft drinks, desserts, cereals, pizzas and pies. Ultra-processed foods differ from standard processed foods, which usually only have minimal ingredients added, all of which you might find in a standard kitchen. Examples of standard processed foods are simple bread and cheese. 90% of the added sugars in the average diet come from ultra-processed foods, whereas only 8.7% come from foods prepared from scratch at home using whole foods. Try to cook from scratch when possible so you can avoid added sugars. You don’t have to cook elaborate meals. Simple tricks like marinating meat and fish in herbs, spices and olive oil will give you delicious results. Canned foods can be a useful and cheap addition to your diet, but they can also contain a lot of added sugar. Fruits and vegetables contain naturally occurring sugars. However, they’re not an issue since they do not affect your blood sugar in the same way that added sugar does. Avoid canned foods that are packed in syrup or have sugar in the ingredients list. Fruit is sweet enough, so go for versions that are labeled with “in own juice” or “no added sugar.” If you buy canned fruits or vegetables that do have added sugar, you can remove some of it by rinsing them in water before you eat them. Most people know that candy and cookies contain a lot of sugar, so they may look for “healthy” snack alternatives. Surprisingly, snacks like granola bars, protein bars and dried fruit can contain as much, if not more, sugar than their unhealthy rivals, such as chocolate bars. A handful of nuts: Packed with good calories, protein and healthy fats. Trail mix: Make sure it’s just nuts and dried fruit, without added sugar. No-added-sugar jerky: Full of protein and low in calories. Hard-boiled egg: This superfood is high in protein, vitamins and minerals. Fresh fruit: Contains natural sugar to satisfy those sugar cravings. Don’t be fooled by the “healthy” marketing messages on some snacks. Be prepared and take low-sugar snacks with you when you’re on the go. Breakfast cereals are among the worst when it comes to added sugar. Some of the most popular ones contain over half of their weight in added sugar. Popular breakfast foods, such as pancakes, waffles, muffins and jams, are also loaded with added sugar. Hot oatmeal: Add some chopped fruit if you like it sweet. 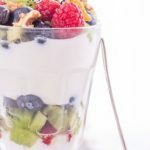 Greek yogurt: Add fruit and nuts for extra good calories. Eggs: Boiled, poached, scrambled or as an omelet. Avocado: Packed full of nutrition and healthy fats for energy. 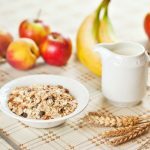 Choosing a low-sugar option with high protein and fiber at breakfast will help you feel full until lunchtime, preventing unnecessary snacking. Eating less sugar isn’t as easy as just avoiding sweet foods. You’ve already seen that it can hide in unlikely foods, including some breakfast cereals, granola bars and dried fruit. However, some savory foods, such as bread, can also contain a lot of added sugar. 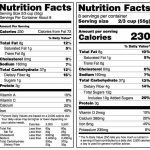 Unfortunately, it isn’t always easy to identify added sugars on a food label. Current food labels don’t differentiate between natural sugars, such as those in milk or fruits, and added sugars. To see if a food has sugars added, you will need to check the ingredients list. It is also important to note the order in which sugar appears on the list, since ingredients are listed in order of the highest percentage first. A high sugar intake is linked to increased appetite and weight gain. Conversely, a diet low in added sugar but high in protein and fat has the opposite effect, reducing hunger and food intake. Added sugar in the diet, particularly fructose, increases appetite. The signals that usually let your brain know that you are full do not work properly, which can lead to overeating and weight gain. On the other hand, protein has been proven to reduce appetite and hunger. If you feel full, then you are less likely to crave the quick hunger fix that sugar provides. A high fat intake is also associated with reduced appetite. According to the fat content of a food, fat receptors in the mouth and gut alter the way it’s digested. This causes a reduction in appetite and subsequently, calorie intake. To curb sugar cravings, stock up on protein and fat-rich whole foods, such as meat, fish, eggs, full-fat dairy products, avocados and nuts. For some people, sugar can be as addictive as drugs or alcohol. In fact, studies have shown that it can affect the brain in a way similar to that of some drugs. Addiction to sugar produces cravings and a “tolerance” level, meaning more and more of it must be consumed to satisfy those cravings. This shows that giving up sugar can be very difficult for some people. If you are struggling, there are a few naturally sweet alternatives that are actually good for you. Stevia: Extracted from the leaves of a plant called Stevia rebaudiana, it has virtually no calories and has been shown to help reduce blood pressure and blood sugar in people with diabetes. Erythritol: Found naturally in fruit, it only contains 6% of the calories of sugar, but it’s much sweeter, so only a little is needed. It also doesn’t cause blood sugar spikes. Xylitol: A sweetener found naturally in many fruits and vegetables. It doesn’t cause blood sugar spikes. Once you cut your sugar intake, you’ll adjust to enjoying foods that are less sweet. If you keep high-sugar foods in the house, you are more likely to eat them. It takes a lot of willpower to stop yourself if you only have to go as far as the pantry or fridge to get a sugar hit. Although cravings for snacks and sweet foods can occur at any time of the day or night, they may be worse in the evenings. Evidence shows that your circadian rhythm, or internal clock, increases hunger and cravings for sweet and starchy foods in the evenings. It is important to consider how you’re going to distract yourself when you feel the need to eat something sweet. Studies have shown that distraction, such as doing puzzles, can be very effective at reducing cravings. If tha1t doesn’t work, then try to keep some healthy, low-sugar snacks in the house to munch on instead. Good sleep habits are incredibly important for your health. Poor sleep has been linked to depression, poor concentration and reduced immune function. The link between lack of sleep and obesity is well known. But recently, researchers discovered that lack of sleep also affects the types of food you eat. The researchers found that function of the frontal lobe, the part of the brain that controls decision making, was impaired after a sleepless night. Furthermore, the area of the brain that responds to rewards and controls motivation and desire was stimulated. These changes meant that participants favored high-calorie, sweet and salty foods when they were sleep deprived. So going to bed early and sleeping well may help you reduce your sugar intake. 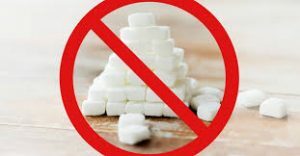 Excess sugar in the diet can be incredibly harmful and has been linked to many chronic diseases, including cancer, type 2 diabetes, heart disease and obesity. It is important to avoid obvious sources of sugar in your diet, such as desserts and sodas, but also to be aware of the hidden sugar in some common processed foods, including sauces, low-fat foods and so-called “healthy” snacks. 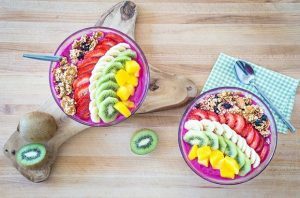 Choose a diet based on whole foods, rather than highly processed alternatives, to be fully in control of your sugar intake and not consume excess amount of it.